There are number of differences and improvements to theme structure and the fallback system in Magento 2. The fallback system in M2 works in a similar way to Magento 1.x, but now has the added advantage of being able to create unlimited parent themes. In this tutorial, we will be creating a new theme based on M2’s “Blank” theme. Make file preview.jpg update to your theme folder. We’ll be running Magento in developer mode. In developer mode, Magento’s much more strict about PHP errors, will display raw exceptions, and make it easier to develop modules. Now, we go to backend check our theme was complate register. Copy files view.xml from vendor/magento/theme-frontend-blank/etc/ then edit it if you want. The properties of product images used on the storefront are stored in this file. 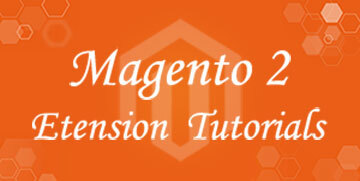 If you have logo.svg file you can update to your theme folder it will auto override logo default of Magento. Or you can change to different file format such as png, jpg but you have to declare it. Now you can refesh cache then go to frontend see your changes applied. We have set up our theme and are ready to start customizing it! For the next post we will Cover Customizing Layout Illustration Theme layout.